Author Jack Cashill discovered a previously unreleased letter by Barack Obama the law student this week that proves that the Chicago community organizer was in way over his head even back in law school. 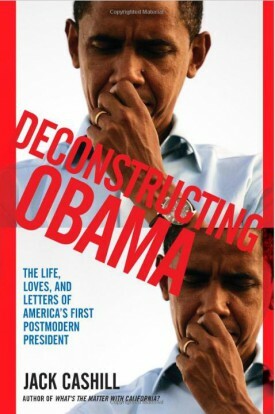 Cashill is the author of Deconstructing Obama. The literary expert discovered months before the November 2008 election: nothing in Obama’s history suggested he was capable of writing either Dreams or his 2006 book, The Audacity of Hope. In fact, as Cashill continued his research, he came to the shocking conclusion that the real craftsman behind Dreams was likely terrorist emeritus Bill Ayers. This letter provides more evidence to Cashill’s controversial theory. Although a paragraph from this letter was excerpted in David Remnick’s biography of Obama, The Bridge, I had not seen the letter in its entirety before this week. Not surprisingly, it confirms everything I know about Barack Obama, the writer and thinker. Obama was prompted to write by an earlier letter from a Mr. Jim Chen that criticized Harvard Law Review’s affirmative action policies. Specifically, Chen had argued that affirmative action stigmatized its presumed beneficiaries. If Obama were as smart as a fifth-grader, he would know, of course, that “merits … have.” Were there such a thing as a literary Darwin Award, Obama could have won it on this on one sentence alone. He had vindicated Chen in his first ten words. “No editors on the Review will ever know whether any given editor was selected on the basis of grades, writing competition, or affirmative action, and no editors who were selected with affirmative action in mind.” Huh?